Preheat the oven to 375°F. 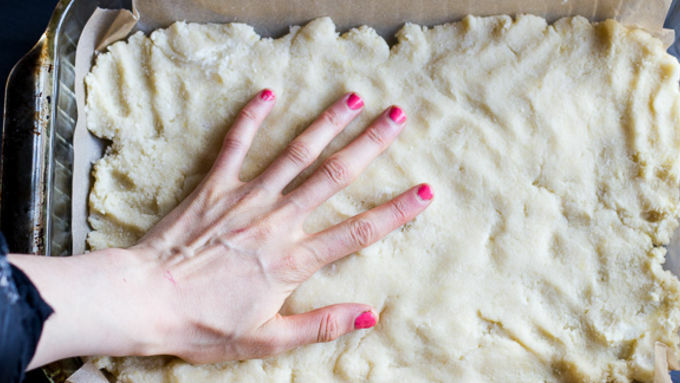 Grease a 9x13-inch baking dish with cooking spray or line with parchment paper. COOKIE BASE: Prepare the cookie mix according to package directions. Add the egg and butter, beat until creamy and a dough has formed. 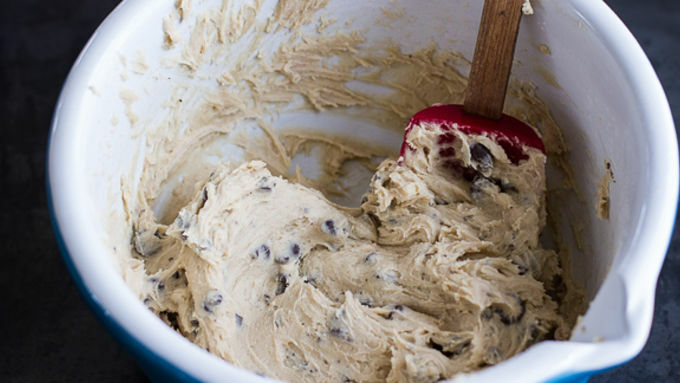 Press the cookie dough into the bottom of the prepared baking dish. Bake at 375°F for 10-14 minutes, or until golden brown. Remove and let cool slightly. 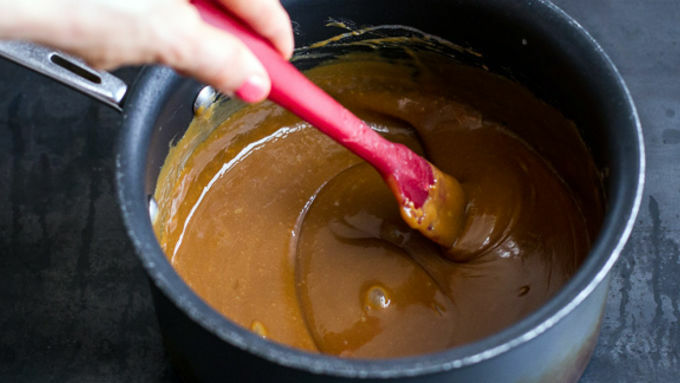 CARAMEL LAYER: While the cookie base is baking, combine the caramels and cream in a saucepan over low heat. Let melt, stirring occasionally until smooth, about 10 minutes. Pour over the cookie layer and let cool completely, about 10 minutes. 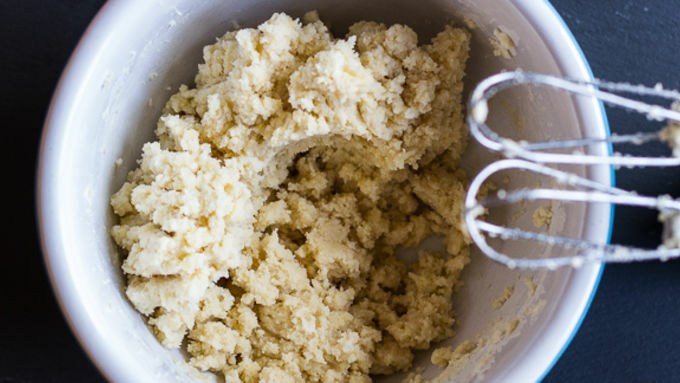 COOKIE DOUGH LAYER: To the bowl of a stand mixer or large bowl add the softened butter, brown sugar, cream and vanilla. Beat until combined, fluffy and light in color. Beat in the almond flour and salt until combined. Stir in the mini chocolate chips. 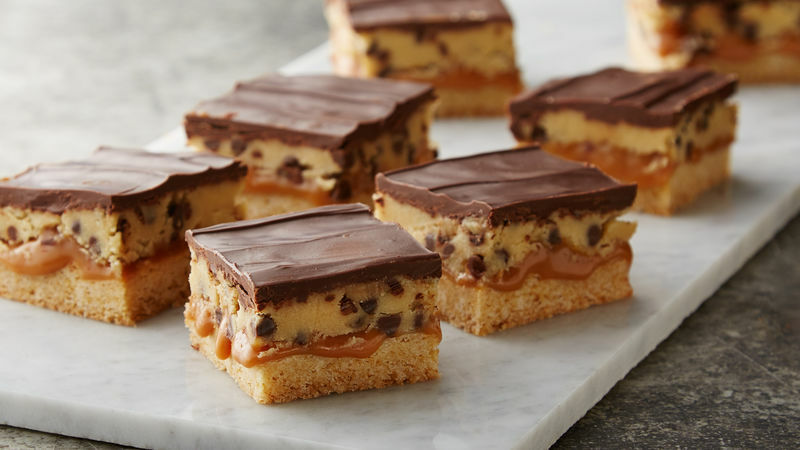 Spread the cookie dough over the caramel layer, be careful not to press too hard into the caramel. You don't want to mix the two layers. Place in refrigerator to set. PB-CHOCOLATE TOP: Melt 1 1/2 cups chocolate chips with 1/4-cup peanut butter in a saucepan, or just microwave them, pour over caramel and spread until even. Let cool and harden completely in the refrigerator. Refrigerate for at least one hour or more before serving. Cut bars and serve. Cover leftovers and store in refrigerator. The best part about these Billionaire Bars? You don't have to be a billionaire to enjoy them! 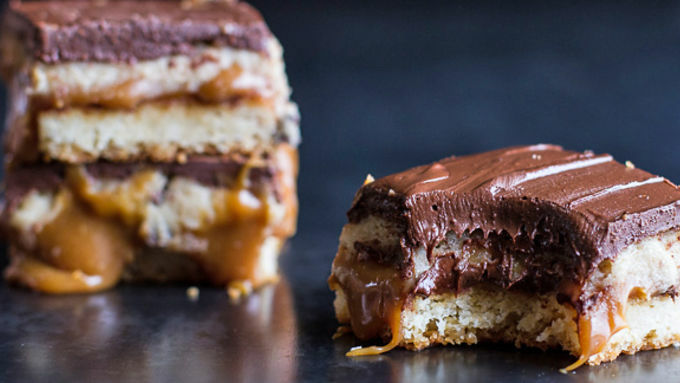 If you're a cookie, caramel and chocolate lover, you'll love these rich bars. These bars – oh these bars!! They are simply amazing and their name suits them well. 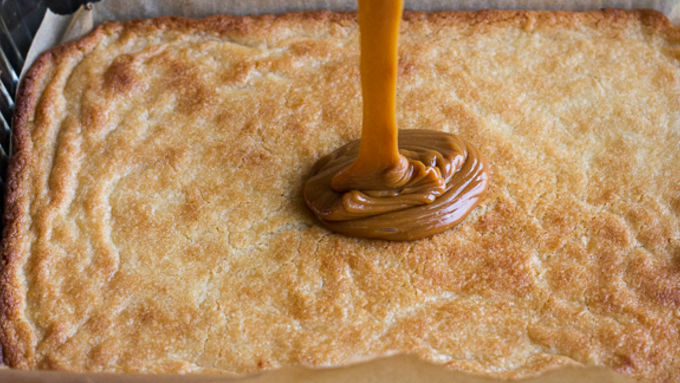 They're made up of four layers: Sugar cookie (the best), caramel (yes! 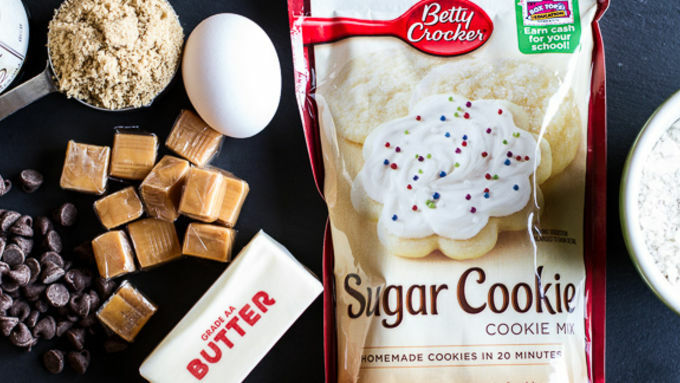 ), cookie dough (don't worry – no eggs!) and chocolate (obviously required). So basically they are not for the calorie counter. But when chocolate and cookie dough are involved, calories don’t count, right? Just agree with me here and nobody will get hurt. What makes them even more appealing? They are so easy to make and they feed a hungry crowd. Although, if I were you I would make a double batch, one for the crowd and one for you. Yes, they're that good.